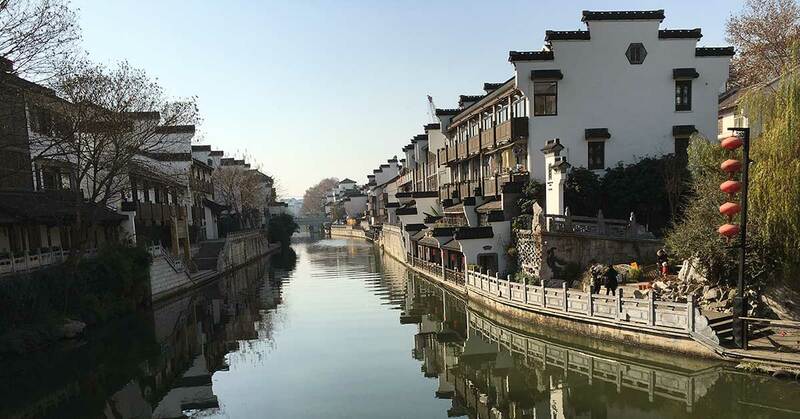 Hangzhou’s halal restaurants serve up steaming bowls of beef noodle soup, cumin-flavoured lamb chops and smoky lamb shashlik. 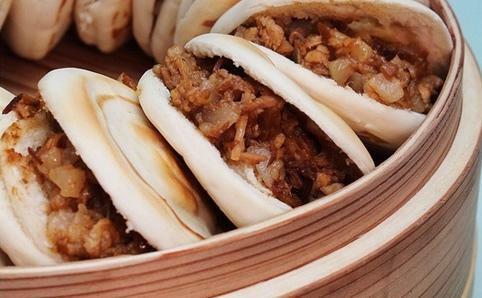 Most of these dishes come from the northwestern parts of China such as Lanzhou in Gansu province, and the Xinjiang Autonomous Region, where Uighur culture is predominant. 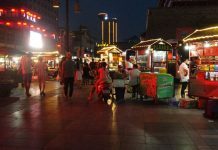 Prices start at 10-20 yuan for a bowl of noodle soup, while lamb kebabs and shashlik will set you back about 40-70 yuan, depending on the restaurant. Look out for the characters 清真 (Halal), which will usually be located next to a halal symbol near the restaurant’s entrance or front door. 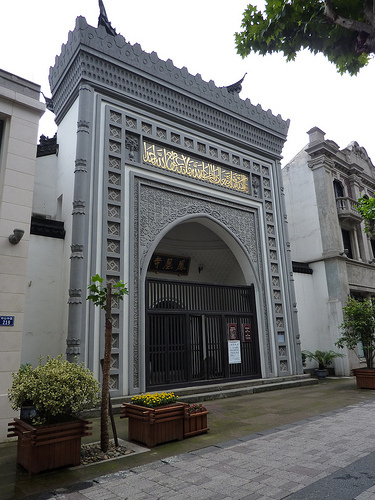 Popular areas include the area near Phoenix Mosque, along the pedestrian streets near the Drum Tower. 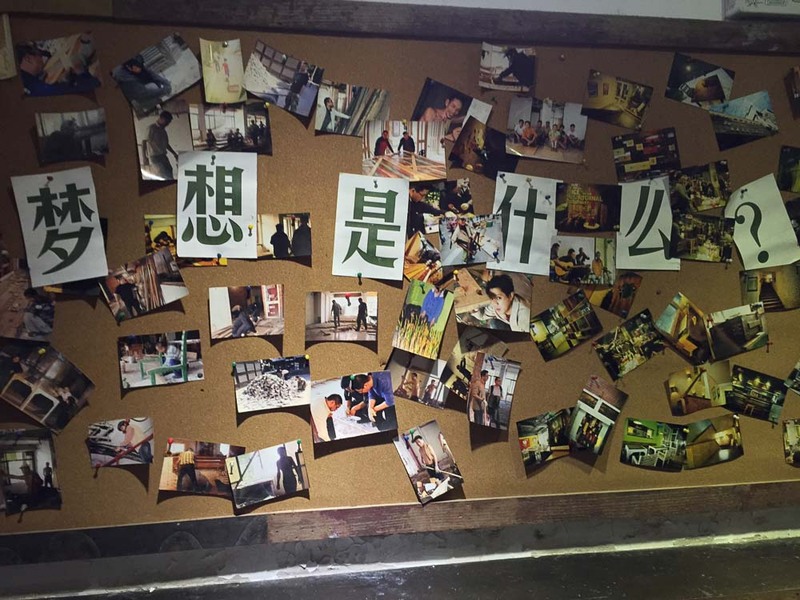 Dongyishun Restaurant, 99 Gaoyin Street, Shangcheng District. 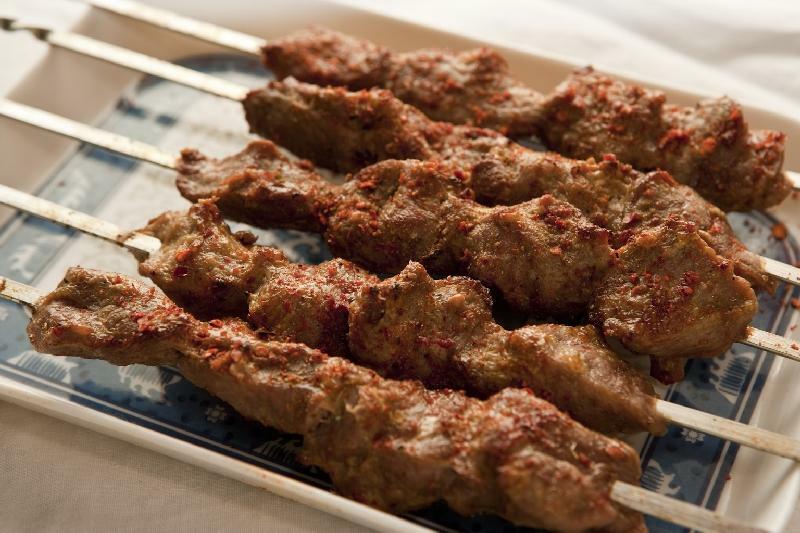 Extensive menu including mutton kebabs, pita bread soaked in lamb broth (yangrou paomo), and some western dishes. Mutton Soup Restaurant, No. 64, Middle Zhongshan Road, Shangcheng District. Mutton shao mai, lamb kebabs and shashlik. 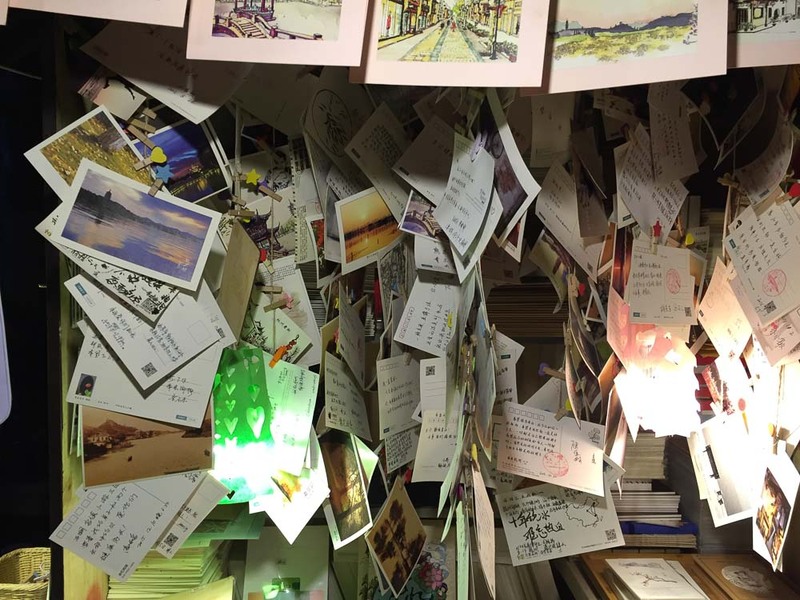 Postcard stalls, which are popular with youth, are a common sight in China’s larger cities. Many of these postcards bear photographs and sketches of the city’s highlights, and are usually produced by local artists and photographers. 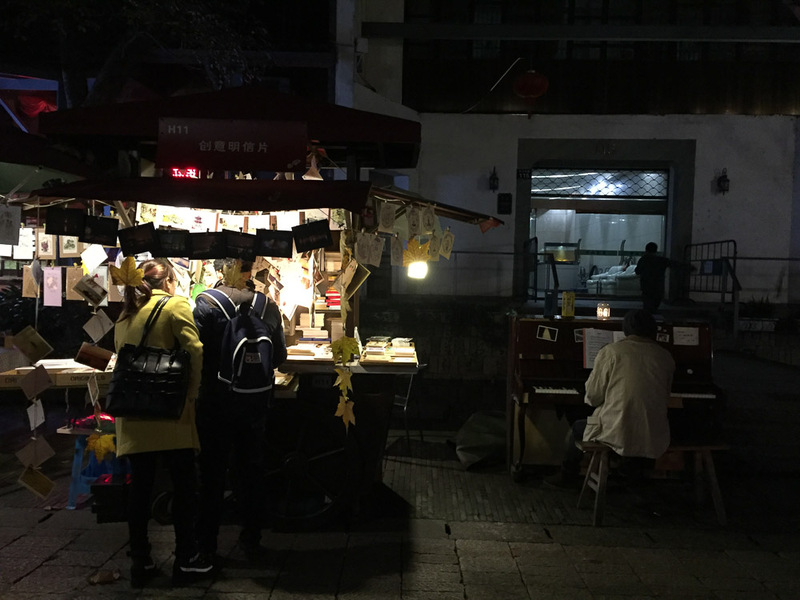 Postcards start at about 2-3 yuan each, and for a small fee vendors will usually mail it out either within China or internationally. Postcard shops will also have a fairly extensive selection of ink stamps unique to the area to adorn your hand-written creation. Look out for them near attractions or along pedestrian shopping streets. 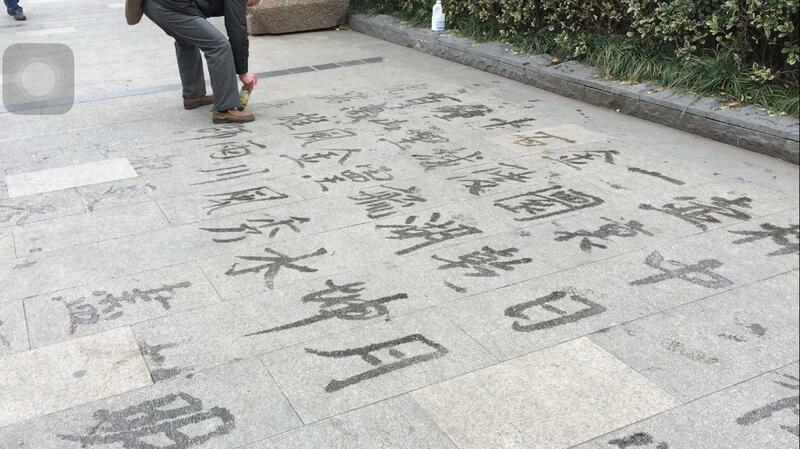 At Nanjing’s Xuanwu public park, a group of old men make the pavement their canvas. They use a large paintbrush and a bucket of water for ink, and create beautiful calligraphy on the dark grey street. This practice originated in Beijing in the early 1990s, but has since caught on in many parts of China. Documentary photographer and filmmaker Francois Chastanet has documented some of these water calligraphers in a multimedia project he calls di shu (地书). Besides the calligraphy, the park comes alive with groups of people dancing in costume and doing tai chi. Go in the morning for the best chance of catching some action. 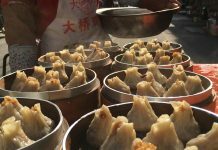 China is a world leader in agricultural output, with 300 million residents employed in the industry, so produce all over the country is fresh, tasty and inexpensive. Look for fruits that are in season – In winter, strawberries and figs go for about 10-20yuan/斤(500g). Come summer, large, juicy peaches cost between 20-30yuan/斤(500g). 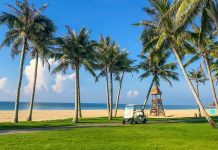 Hangzhou and Nanjing are both bike-friendly places cities, and many hostels and hotels offer bike rentals. 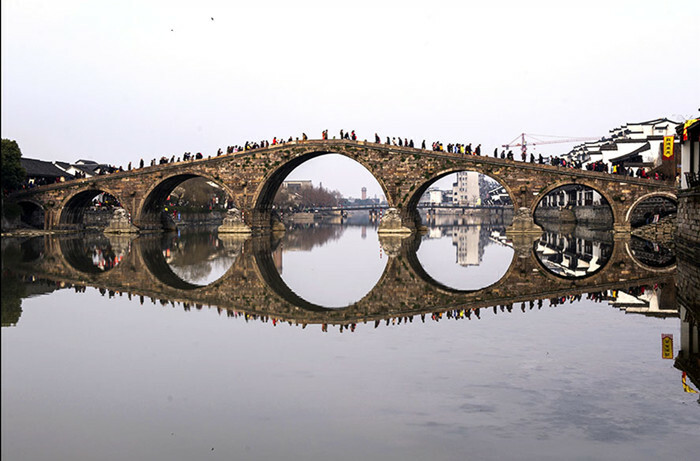 In Hangzhou, there are multiple cycling routes around West Lake that range from 3-12 kilometres. 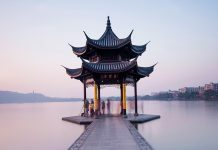 These are a good way to see the quieter areas around the lake, and other city sights such as the Beijing Hangzhou Grand Canal. 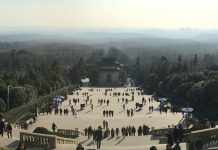 In Nanjing, the forested Zhongshan National Park area is relatively free of traffic, and you can cover more ground in the expansive park on two wheels. There is also a cycling path next to the Qinhuai river, which runs through the city. Orange Hotel, a chic budget hotel where we stayed, has multiple branches around China and offers free bike rental for two hours. 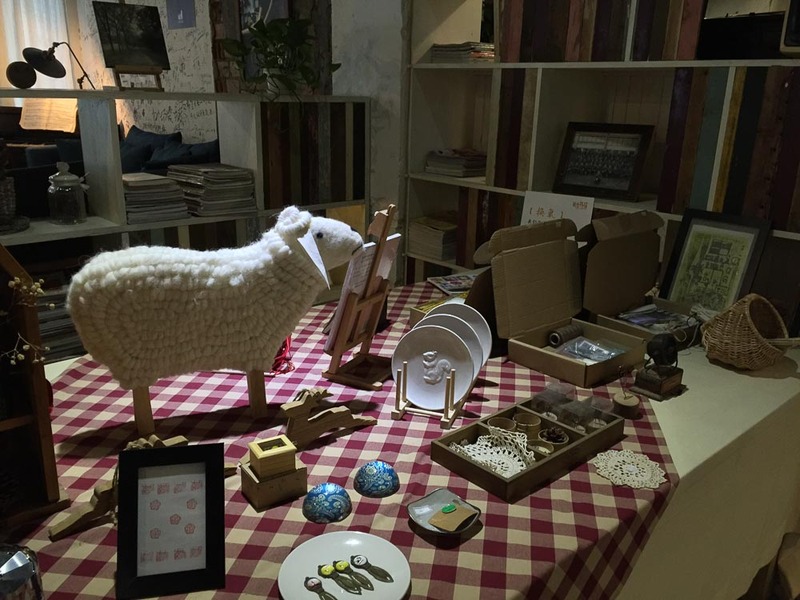 In Hangzhou, Sisyphus bookstore’s attached cafe is a cosy reading nook with a “Keep quiet” sign at the entrance – one that patrons actually follow. Sink into an armchair and while away an afternoon as you watch other shoppers through the large glass windows. 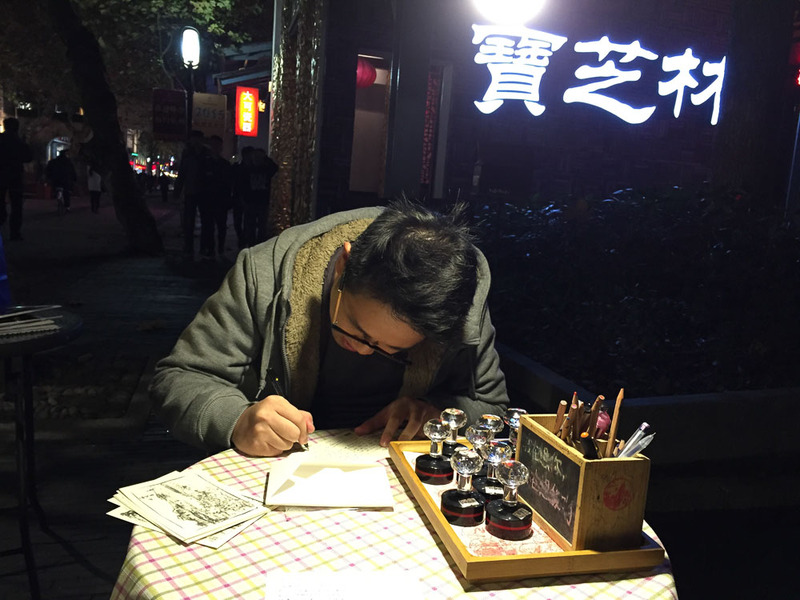 In Hangzhou, take your pick between Sculpting in Time and Tingoo cafe, located next to each other. The former has alfresco seating along the river, white plush seats and wine on display, while we prefer Tingoo’s mismatched furniture and tall bookshelves that evoke a homelier feel. 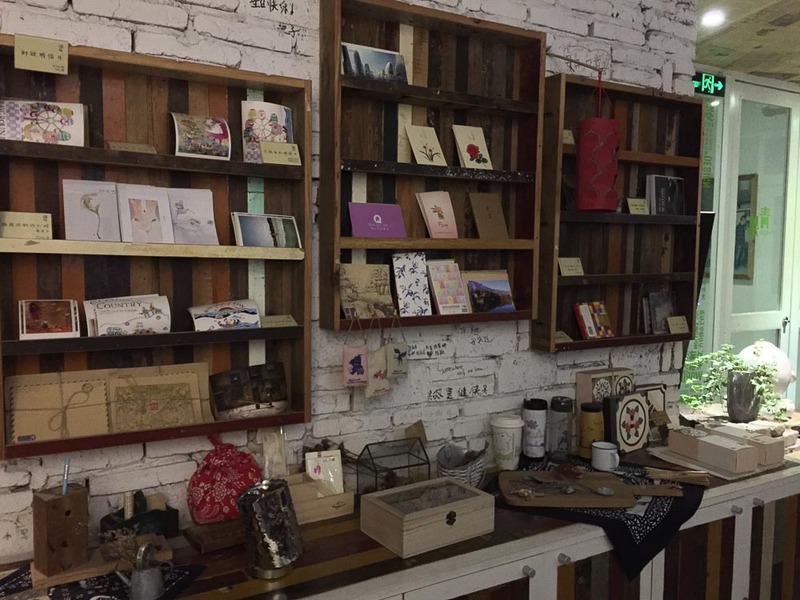 Tingoo, which is located on the second floor, also hawks trinkets and postcards, and a small shop at the foot of the stairs sells homemade fabric products such as brooches and coin pouches. Slices of cake at both joints go for 28-35yuan and prices of drinks are similar. Tingoo does not serve coffee, but we loved their rose tea. Both joints offer free wifi. 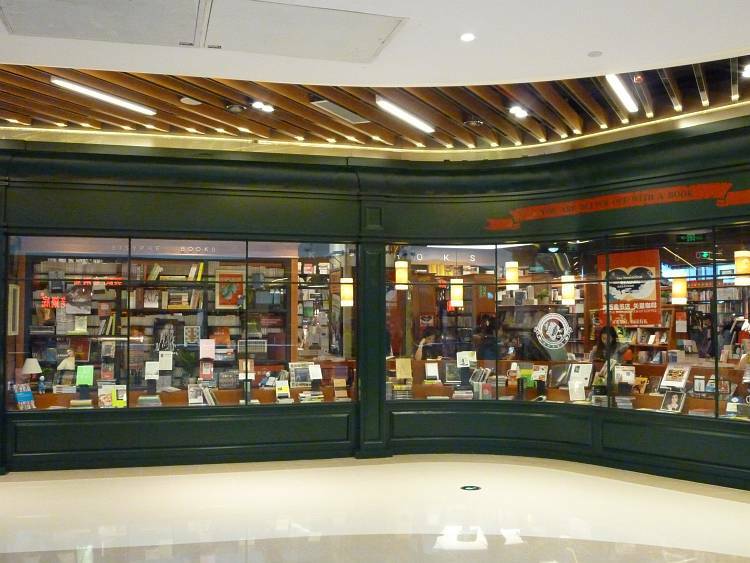 Sisyphus bookstore cafe, located within Intime Department Store. No.98,Yan’an Road. 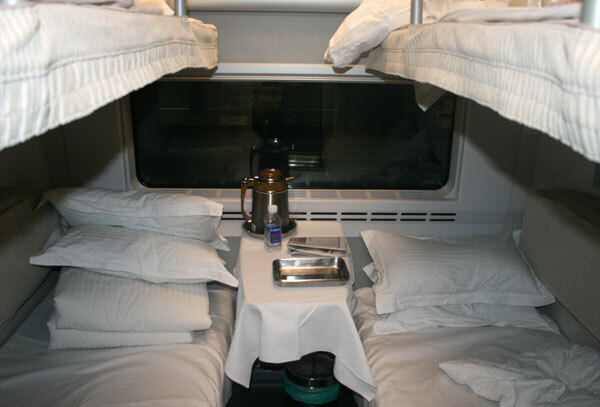 Fast trains connect both cities in just under two hours, but if you’ve got time to spare, catch an overnight sleeper between both cities. Our ride lasted about six hours, saved us a night’s accommodation, and was a great way to meet locals. 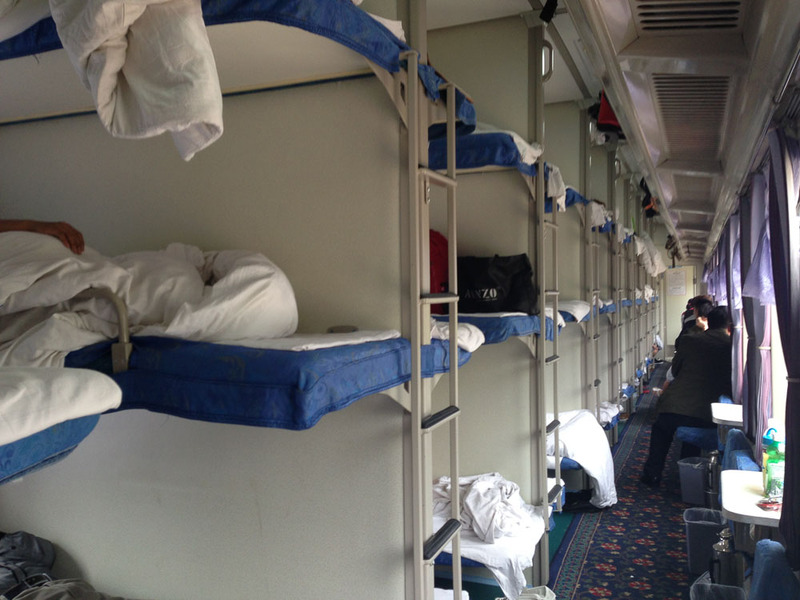 Bunks come with a pillow, folded sheet and a blanket, the cleanliness of which depends on your luck. In the day, passengers slurp up instant noodles and tea, and share fruits and biscuits. If you prefer a little more privacy and comfort, soft sleeper (first class) carriages have lockable doors and two-tiered bunks. For more information on train timetables and how to book them, visit The Man in Seat 61. In China, chicken feet isn’t only found in soups or dimsum steamers. 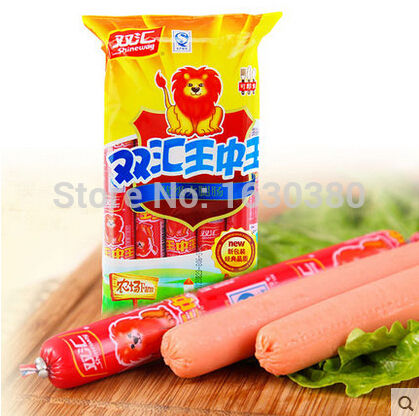 Convenience stores sell an array of vacuum packed food, which is great for train rides or to dunk in a bowl of instant noodles. 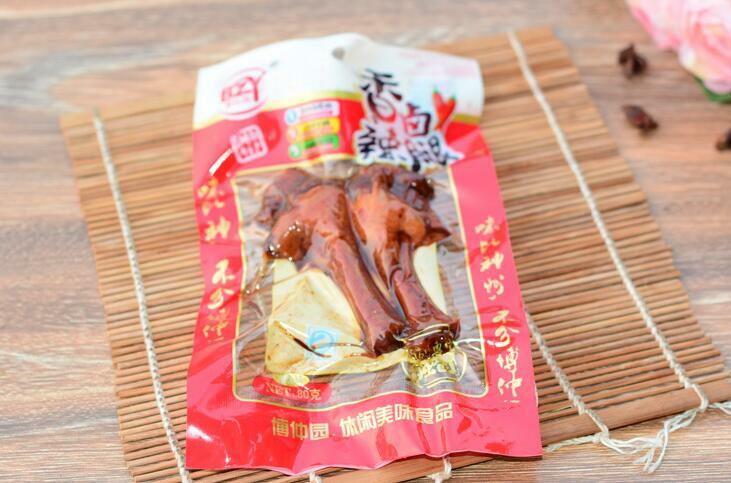 Try chicken feet, an whole chicken leg, beef jerky, and ready to eat sausages. Mystery meat, yum.